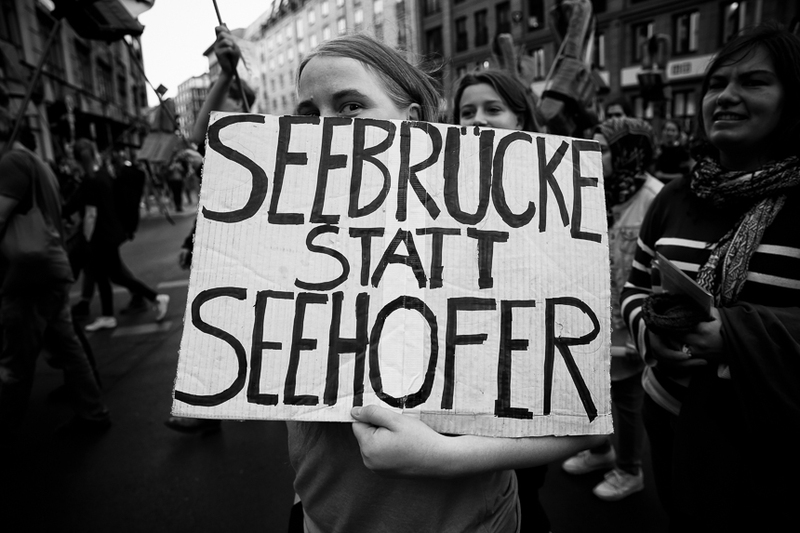 Some thousands attended a demonstration in Berlin's inner city against the restrictive asylum policy forced by Germany's Minister for Internal Affairs Horst Seehofer (CSU). 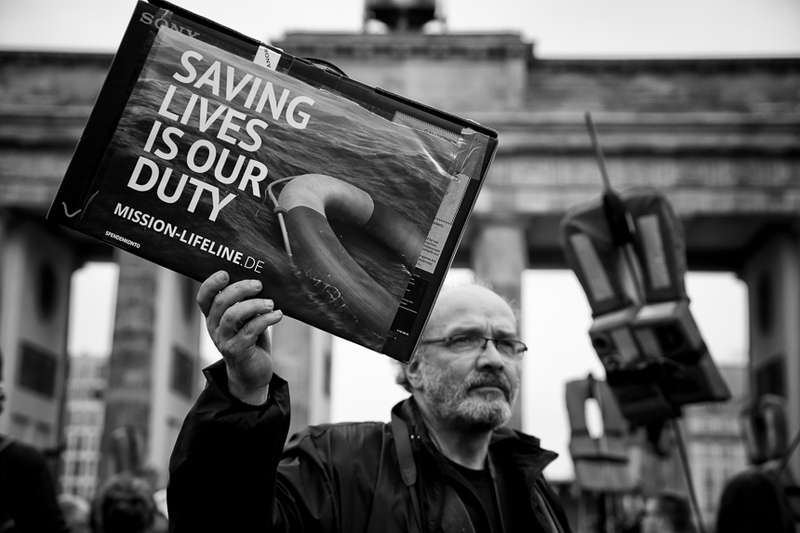 The activists showed their solidarity with "Mission Lifeline", "Sea Watch" and other organizations whichs rescue refugees from drowning in the Mediterranean Sea. They condemned the Eurpoean Union for betraying its humanitarian values.